Although the rise of e-commerce hasn’t led to retail stores being “killed off”, but in-store sales are no longer reliable enough to support all but the most niche businesses. Working out how to balance your retail store with your e-commerce store can be difficult: we’ve teamed up with Donaghys to bring you this short list of tips and strategies that might give you some ideas. Stock and service quality should be identical and consistent both in-store and online, but having a unique draw to both types of purchase make it easier to promote the weaker storefront. For example, an online store can offer free delivery for certain orders or locations, whereas a brick-and- mortar store might allow certain products to be customized or gift-wrapped and handed directly to the customer. Digital storefronts will always be easier to access, so it’s important to play up the strengths of a physical store rather than covering its faults. Trying to bring elements of brick-and-mortar retail into your online presence will usually just frustrate customers in the long run. Modern technology has made it far easier to mix online interactions with face-to-face ones, and integrating one into the other can be an excellent way to keep your physical locations relevant. For example, if a customer purchases an item, give them the option of collecting it the same day from the nearest store that has it in stock. Having an online component to an in-store transaction can work well, even if it’s something as simple as a promotional deal, loyalty program or feedback feature. 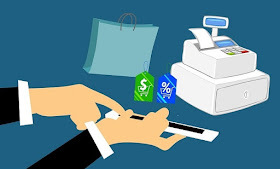 This might convince your customers to visit your online storefront and see products that weren’t in stock during their initial purchase, and may allow you to offer them discounts and rewards to returning customers. Finding ways to drive customers into making a purchase can be difficult with a single-platform business, but e-commerce provides an extra way to funnel them towards a certain product or service. If your store sells items from a brand you own alongside more widespread lines, consider making certain ones exclusive to in-store or online customers to encourage a particular platform. If your online delivery service has too many advantages over an in-store purchase, your customers will have barely any reason to visit your retail locations. While offering customers a good experience is important, artificially limiting certain parts of the service (such as increasing delivery times by holding items in a warehouse for a day or two) can provide more incentives to go for an immediate physical purchase. If you offer seasonal items, you may be able to sell unsold stock for a discounted price online through your e-commerce store whilst keeping current items in-store. This splits your customers between two groups of people and avoids the issue of every item being easier to acquire online, rather than having everything available on the more convenient digital platforms. If there’s no way to avoid sharing items across platforms, selling items in different quantities can have the same effect – for example, online orders could be sold in bulk whereas physical sales could be individual items, giving the two platforms distinct differences without doubling the number of products or brands you need to stock. There’s definitely a place for retail stores, but not every company should rely on them as the only physical extension of their brand. Using a physical building as a showroom for your products or a place to “reserve” upcoming items can create a clear divide between the digital and physical parts of your business, making it clear to your customers that they aren’t going to get the exact same services across both platforms. The audience you’re targeting will affect how popular your services are on each platform. Older generations won’t be as used to online purchases and digital storefronts, so an accessible website and a strong physical presence are the best way to keep both platforms relevant. Modern generations, however, will have a greater bias towards online shopping and third-party deliveries. When it comes to improving overall sales, ideally you still want to succeed in both the retail and e-commerce channels. Take these tips into consideration and your revenue and brand will improve drastically. I hope you enjoyed this article about how to balance your retail store selling strategy with your ecommerce store sales. Interested in more articles about retail and ecommerce?